The town of Southampton started out as a farming community and has retained much of that atmosphere through the years, even though there are few farms left. 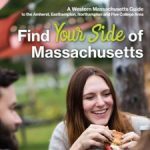 The community’s rural character and central location to Northampton, Westfield, Holyoke and Springfield make it a desirable bedroom community. Although the center of town is small, the population of Southampton has increased over time (about 6,000 currently) and there is a high level of community involvement. Residents and guests proudly gather to celebrate the town's founding with Old Home Days, which includes picnics, parades, history lessons, children's story hour, art exhibits, car shows and dances. Previous residents from all across the country visit this three-day annual community event to share their stories and history. The Southampton Youth Athletic Association provides involvement for youth and gives them a sense of accomplishment outside the structures of the school system. The town’s economy and attractions include antiques and craft stores, galleries, horseback riding, nature sanctuaries and trails, farm stands and orchards, and a golf course. Read more about the town of Southampton at its website.